Ransomware activity has been rising steadily over the past four years, providing a low cost and successful income stream for criminal organisations. Over the past weekend however, the game was changed with ‘WannaCry’. Traditional ransomware typically ran on a single end user system, encrypting files that were accessible on local disks and sometimes mapped network shares. The reason WannaCry had such a significant impact is the ability to spread aggressively through network connected computers (be that locally or over the internet) using a recently discovered Microsoft Windows SMB vulnerability. This vulnerability was patched by Microsoft in March 2017. Even though WannaCry represents a worrying evolution in Ransomware tactics, the software itself isn’t designed with stealth and security evasion in mind. Simply by creating / mutating a new piece of software, the ransomware initially went undetected by nearly all traditional security products. The likely strategy with WannaCry was to hit the world hard and fast, before traditional security technologies like Anti-Virus and Network Intrusion Prevention has time to catch up and write detection signatures. The reactive nature of traditional security technologies are highlighted by the sheer number of hosts infected during this incident. The Australian Signals Directorate’s (ASD) Strategies to Mitigate Cyber Security Incidents places Application Whitelisting as the number one ‘essential’ strategy to prevent malware delivery and execution. During the execution of WannaCry, five executable files are dropped and executed on the victims system. With the installation process involving the downloading of ‘Tor’ software to facilitate payment. If these executable files were proactively prevented from running, the attack would simply fail. Incidents such as WannaCry demonstrate the need for proactive security solutions that make it extremely difficult for attackers to run malicious code. Application Whitelisting represents the most effective and proactive strategy to detect and prevent these attacks. Airlock Co-Founder, David Cottingham, will be presenting at the Australian Cyber Security Centre on Wednesday the 15th of March at 2:30pm in the Bradman Theatrette. There is a wealth of information in the security community today about what constitutes an indication of malicious activity within enterprise environments. Even if you are lucky enough to have a consensus regarding what you should be looking for each day, many organisations are simply not resourced to actively hunt and interpret activity within their environment. During this talk I will release a free Splunk application I have developed to make this challenge easier and also demonstrate some additional utilities I find invaluable. 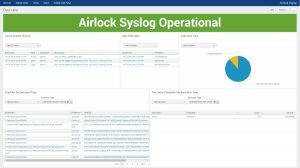 Information on the new free Airlock Splunk App can be found here, and an updated version of the Airlock Whitelist Auditor can be found here. – Citrix VDI Environment support. The addition of publisher support makes it even easier for customers to maintain application whitelists using Airlock. Version 1.2 is now available for customers and partners in our customer portal. 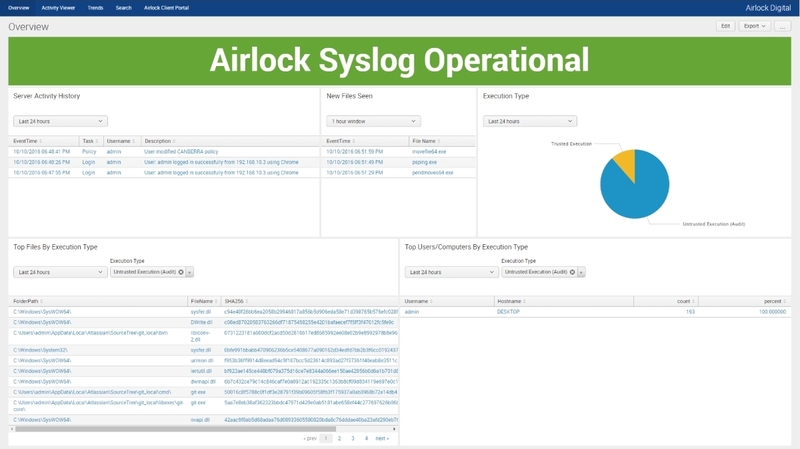 Today marks the release of Airlock Digital’s new Add-on for Splunk. This Add-on enables simple and seamless Splunk integration, by providing pre-built data parsing and rich dashboards to view Airlock application whitelisting data. At the ACSC Conference 2016 in Canberra as part of David Cottingham’s presentation of his “Top 35 Opsec Toolkit”, Airlock Digital launched a free AppLocker Auditor utility to allow administrators to review their AppLocker policies against the compliance requirements of the Australian Information Security Manual (ISM). The AppLocker Auditor utility and presentation slides can be downloaded from this page. We will make the video available as soon as it is released to us.